Europe has fully embraced blockchain technology and bitcoin. And if you still feel wariness in relation to cryptocurrencies, blockchain is already a thought leader for businessmen and politicians. Today, the European Union is actively introducing and testing decentralized services, both within countries, and in international communities. You can already see leading countries. The problem is that there are still no unified rules for this technology race. Transactions in bitcoins are classified in European Union as payment transactions in currencies, coins and banknotes. The European Court decided the question in 2015, as well as ruled that operations with cryptocurrency should not bear tax. At the same time, member’s desire to introduce own digital currency is not welcomed in the EU. After Estonia put forward such an initiative, the head of the European Central Bank Mario Draghi said: “No member state can introduce its own currency. The currency of the eurozone is the euro.” As for the blockchain, member countries are not limited in any way. Some European banks participate in global banking consortium R3, which explores the application of new technologies in banking. 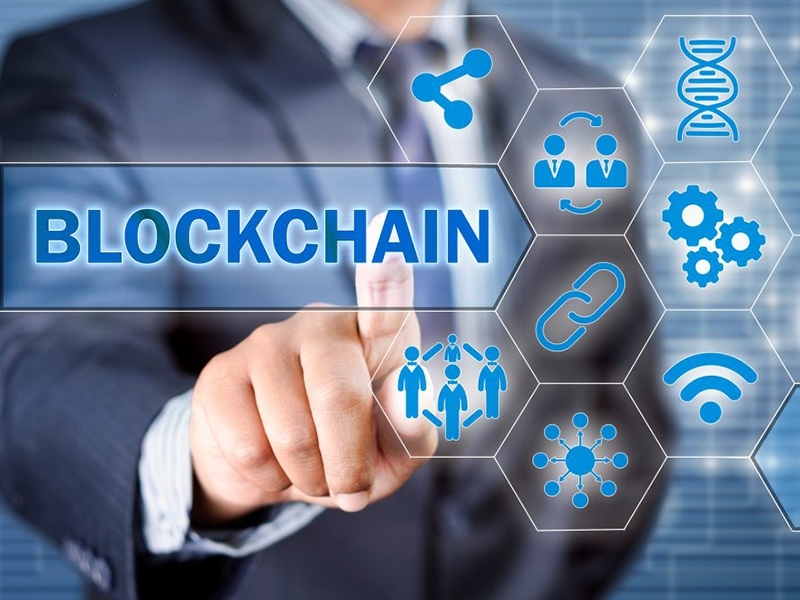 The creation of blockchain observatory to study the technology was announced in the spring of 2017. Despite all advanced initiatives, the EU has not yet developed common rules for cryptocurrencies and blockchain. Therefore, each state is looking for its own solution. Europe is divided into two camps: enthusiasts who run blockchain projects, and skeptics who prefer to first fully explore the innovation. There are countries which aspire to become a leader among those that are actively developing blockchain. Malta, Cyprus, Slovenia, Switzerland and Estonia are among the contenders for the title of "European blockchain valley". Switzerland is known for its solid financial system, and Swiss banks are the most reliable in the world. Therefore, the country was among the first to start exploring new financial technologies. Swiss city Zug has introduced an experimental system of verification of citizens using blockchain. There is also a local payment system that accepts bitcoins in the city. The Government of Malta openly declares that country will become a blockchain hub of Europe if the EU starts to widely introduce decentralized technologies. The country is now developing a national blockchain strategy. Such a bill is now being prepared in Slovenia as well. And Cyprus is known for being a "talent foundry" (there are courses on the blockchain technology at the University of Nicosia) and for high interest in cryptocurrencies of the population. Estonia is known for the most challenging blockchain-projects at the country level. From the early 90s to this day, the population of Estonia is decreasing: able-bodied citizens go abroad, and the birth rate does not cover these losses. This is one of the main problems of the Estonian economy. According to 2016 data, there are only 1.3 million citizens in the country, of which slightly more than 410,000 live in the capital (Tallinn). Therefore, at the beginning of 2000, the government decided to digitize the economy: new technologies were to raise the standard of living in the country and make Estonia more attractive for foreigners. The project was implemented thoughtfully and consistently, and the country was at the forefront of technical innovation by 2015. Estonian government drew attention to the blockchain as a promising technology in the state administration. It was decided to be proactive and master it first. Today, blockchain in Estonia is used in two major state projects: the e-Residency program and electronic medical records. Electronic residence is not the same as e-citizenship, as it gives slightly different rights. A resident can do business in the country, but does not get a residence permit. When organizing business in Estonia, the resident pays taxes to the country's budget. There is also the possibility that he will move to Estonia in the future, expand business and create new jobs. The authors of e-Residency program call it a project for the future, and they already have a good groundwork: over 22,000 people from 138 countries became e-residents of Estonia in two years. The team led by a software architect Kaspar Korjus, who topped the Forbes “Technology and Finance” list, is engaged in the development and support of e-Residency. The implementation of blockchain in health care is the second major project of Estonian government. It involves the transfer of all patients’ data to the blockchain. This will provide patient data protection (it is more reliable than when stored on the server), and quick access to it in case of emergency. The project is being implemented by the Estonian eHealth Foundation in partnership with blockchain company Guardtime. There are many cryptocurrency holders in Estonia: stock exchange players and those who keep savings in bitcoins and altcoins. Therefore, the infrastructure related to digital currencies is developing here. A network of cryptocurrency ATM belonging to the DeCrypto company operates in the country. Estonian LHV Bank was among the first in the world to introduce a banking bitcoin-based product: the Cuber Wallet application, it is able to send free international transfers. In addition, there are companies in Estonia that accept payment in bitcoin: Salatte (fresh salads store) and a furniture store Finca mööbel. Estonian authorities announced a project for holding state ICO and issuing cryptokroons, a single state digital currency, in August 2017. The project was not implemented, and one of the reasons is the speech of President of the European Central Bank Mario Draghi against the national cryptocurrencies in the EU. Meanwhile, global cryptocurrencies were not supported by Estonian leaders. Before the official recognition of bitcoin in Europe as a means of payment in 2015, the government regularly warned citizens against investing in bitcoin and its counterparts. And there was a high-profile cryptocurrency scandal in 2014: the site for bitcoins trading BTC.ee was closed by the police, and later its owner stated that the power structures asked him to provide customers data. The government clarified the legal status of bitcoin and other cryptocurrencies in 2016. It was recognized as a means of payment and today come within the purview of laws against money laundering, and is a subject to state supervision. Nevertheless, the law on blockchain and bitcoin is still not perfect. Therefore, Smile-Expo organizes Blockchain & Bitcoin Conference Tallinn on March 22, 2018. Entrepreneurs and developers will meet international experts and discuss both the current issues of the industry and prospects for its development at the conference.